Searching how to extract multiple attachments from Outlook email? 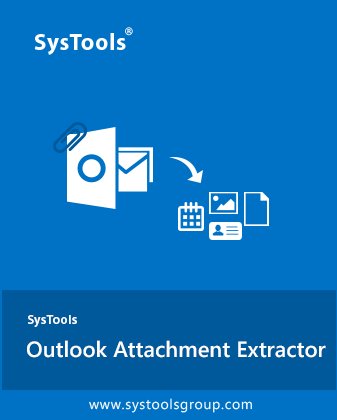 Use SysTools Outlook Attachment Extractor to export all the Outlook mailbox attachments automatically in a single go. It allows to extract Outlook attachments from both ANSI and UNICODE Outlook PST files even without manipulating the original folder hierarchy. 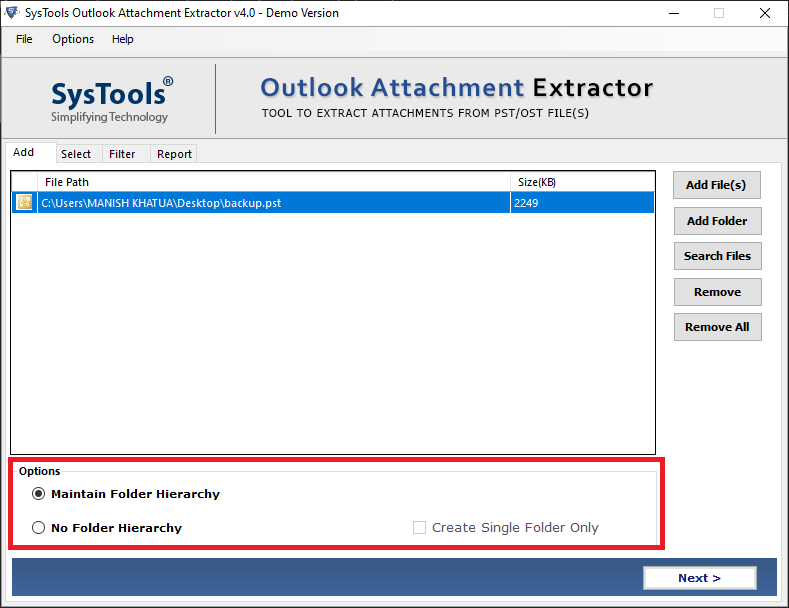 According to cnet.com, Attachment Extractor for Outlook is one of the most professional and quick ways to extract Outlook attachments from multiple PST files in bulk. The tool serves a simple GUI to export all attachments from Outlook and non-geek users can use it without so much technical expertise. Outlook Attachment Extractor is a complete and comprehensive solution to extract Outlook attachments from multiple emails of Outlook PST. The Microsoft Outlook Email Attachment Extractor is smart enough to maintain the original folder structure even after downloading multiple attachments from Outlook. 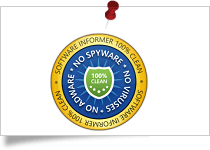 At informer.com, SysTools Outlook Attachment and Picture Extractor 2.0 is rewarded with 5-star rating. Also, it is named as the best application to extract attachments from PST files. After extracting email attachments from Outlook PST files in a few simple clicks, I got very impressed with this PST File Attachment Extractor for Outlook. The software is completely secure and fully automated to export attachments from multiple emails. Users do not need to make so much efforts in order to extract Outlook attachments from multiple emails as the software does this just after adding the mailbox PST files. I have tested this software on an expert level to extract attachments from PST file and it performs very well. Every user must give it a try. Outlook Attachment Extractor is an easy to use software that lets users extract all attachments from Outlook PST mailbox files. It exports email attachments from multiple Outlook PST files with retaining the original folder structure. In addition, the Microsoft Outlook Email Attachment Extractor can be utilized to export attachments from PST even from ANSI and UNICODE type PST files without any file size limitation. It worth dollars! Folder Hierarchy: This option can be used to extract Outlook attachments without making any changes in the original folder structure. Folder Hierarchy (Subject Wise): This is another handy option to export Outlook attachments according to their email subjects. No Folder Hierarchy: This option allows to extract Outlook attachments from multiple emails into a single folder. While using Inbox Repair Utility to repair Outlook PST files, it generates BAK file to keep the backup of the original file. However, sometimes users lose their original PST files and left with only BAK file. In such circumstances, Microsoft Outlook Email Attachment Extractor proves helpful as it extract attachments from files with .bak extension. If you have multiple PST files in Outlook then, you can extract Outlook attachments altogether within a few minutes using this PST File Attachment Extractor for Outlook. You can add the folder having multiple PST files and extract attachments from Outlook messages all at once. Also, you can export all attachments from Outlook PST automatically without wasting so much time. Microsoft Outlook PST File Attachment Extractor is an advanced software that provides an option to export Outlook email attachments with maintaining the original folder hierarchy. Using this feature, one can extract Outlook attachments from multiple emails even without disturbing their original folder structure. The extracted PST file attachments will be stored with proper folder and subfolder names. Microsoft Outlook Email Attachment Extractor or Picture Extractor maintains folder hierarchy according to email subjects. Once it extract attachments from PST file, it generates separate folders for each email and saves it with its original subject name. Each resultant folder includes all the attachments of a particular email. In the resultant Outlook attachments, one can find out entire attachments of an email within the specific email subject folder. Users can export all the attachments of mailbox PST in a single folder, even without any subfolders within the main folder. Microsoft Outlook PST Email Attachment Extractor Tool extract attachments from Outlook 2016/ 2013/ 2010/ 2007 messages and saves in a single folder. The output folder comprises all PST attachments and PST File Attachment Extractor for Outlook arranges them in alphabetical order to avoid inconvenience and extract Outlook email attachments. Outlook PST File Attachment Extractor Tool can export attachments from the backup PST file and no matter how it has been created. The tool extracts all the attachments from the browsed Outlook archive file even without making any changes in its attachments. The Microsoft Outlook Attachment Extractor is designed with highly programmed algorithms so it retains all the attributes of attachments as it is even after extract attachments from Outlook messages PST process. It extract Outlook attachments from browsed PST file/ folder even without any data manipulation. All the technical properties of attachments i.e., name, internal content, size, and other metadata does not gets modified in output after extracting attachments from multiple emails. The software includes two different options to browse PST: Add File (s) and Add Folder. One can add a single PST or multiple PST files to extract attachments from Outlook messages. Despite this, users can also add a complete folder that comprises several PST files then, the Microsoft Outlook Email Attachment Extractor will extract Outlook attachments from multiple emails or browsed PST folder without any hassle. The Outlook Attachment and Picture Extractor makes it possible for users to extract Outlook attachment automatically and save the output file at any desirable location. Extracted mailbox attachments from Outlook PST files can be saved at user-defined system location. Moreover, the tool provides an option to create a new folder to export Outlook attachments and one can do this right from the software panel. The Microsoft Outlook Email Attachment Extractor operates in a single panel. You are supposed to select single or multiple personal folders files to download all attachments from Outlook PST files. However, the destination location can be chosen right from the bottom of the same screen. The software makes it possible to Extract Outlook Attachments from Multiple Emails in Outlook 2016, 2013, 2010, etc. for a technical as well as non technical user both. Once the extract Outlook attachments from multiple emails process gets done the Outlook Attachment and Picture Extractor gives an offline CSV report per PST file containing information for attachments of longer paths. Outlook Email Attachment Downloader maintains a separate folder to store retrieved PST attachments. Make sure you check this folder in destination, in case the attachments you are looking for are not appearing at surface. Trial version of Outlook Attachment Extractor software consider only first 5 PST files at a time and extract first 20 attachments from each PST file selected. Microsoft Outlook should be installed and configured for a valid or dummy POP3 profile (Not Configured for Exchange). How can I extract attachments from PST file using this Microsoft Outlook Attachment Extractor Tool? Click OK and now exported attachments can be copied to any other email in Outlook. Does the tool rename duplicate files and not overwrite them? Yes, PST File Attachment Extractor for Outlook export all attachments from Outlook in their original format and if there are duplicates in it, then it will rename them instead of overwriting them. Is Outlook installation required on computer to extract Outlook attachment with the tool? Yes, Outlook installation is the most basic requirement for operating this Outlook Attachment Extractor tool properly and it should be configured with a POP3 or dummy profile. The tool is compatible to extract Outlook attachment automatically from MS Outlook 2016, 2013, 2010, and all below versions. Can I extract all attachments from Outlook PST file? Yes, you can add multiple PST files of Outlook 2007, 2010, 2013, 2016 or 2019 at a time to extract Outlook attachments from multiple emails using Microsoft Outlook Email Attachment Extractor. You can also add a folder with multiple PST files to extract Outlook email attachments from PST. Does the software support Outlook 2010, 64-bit version to extract attachments from multiple emails? Yes, this software has another installer for 64-bit Outlook 2010 to export attachments from PST. Please install the correct version of installer carefully according to bits of Outlook. The tool support to download all attachments from Microsoft Outlook 2019, Outlook 2016, Outlook 2013, Outlook 2010, Outlook 2007, and below. Is the Microsoft Outlook PST File Attachment Extractor compatible with the Windows 8 environment? Yes, Outlook Email Attachment Extractor supports to extract Outlook attachments from multiple emails Windows 10, 8, 7 and all below versions of the OS. Are attachments extractable from the corrupt PST file? No, the PST file being used must be in a healthy state and should be accessible on Outlook without any errors surfaced. If the PST file is corrupt then, firstly use the SysTools Outlook Recovery to fix it and then, use PST File Attachment Extractor for Outlook. How much time does the Microsoft Outlook Attachment Extractor take to perform this operation? Total time taken to Separate Attachments from Emails by this Outlook Attachment and Picture Extractor is based upon the number of PST files being processed at a time as well as the size of PST file. Machine configuration is also a factor responsible to estimate total time consumption to extract Outlook email attachments. Extracting attachments automatically only from Outlook mail folders was a vast challenge for me until I found Outlook Attachment Extractor. This tool is magical as it allows to extract attachments from multiple Outlook PST emails in a single attempt and provides various options to manage the folder hierarchy of resultant attachments. I would like to recommend this excellent Microsoft Outlook Email Attachment Extractor to all the users who are searching the ways to extract Outlook attachments from multiple emails safely. Initially, I wasn’t sure that how to extract Outlook attachments from large sized PST and then, this Outlook Attachment Extractor helped me to overcome size limitation issues. I am very thankful for this Outlook Attachment and Picture Extractor as it made me realize that attachments in my mailbox were taking up most of the space. While working on Outlook, nobody gets spared from being affected by the 2 GB file size issue and the same thing happened with us. Thankfully, this PST File Attachment Extractor for Outlook was capable enough to extract Outlook attachment automatically from Outlook PST File separately without any data manipulation. All the software I had used earlier, imposes a file size limitation and I was in the search of software that can all extract attachments from PST file without any size limit issue. Finally, I came across Outlook Attachment Extractor and I am very thankful for this tool as it has resolved all my issues about extract attachments from Outlook messages. The Outlook Attachment Extractor software has saved my efforts as I was unable to extract Outlook attachments from PST file. I was very worried about this then, suddenly one of my friends recommended me this Microsoft Outlook PST Email Attachment Extractor which helped me to extract Outlook attachments from multiple emails. 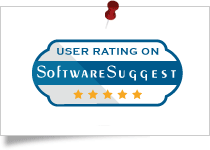 All thanks to the developers for designing such amazing software for assisting users like me. Thank you!